If you have never worn contact lenses in the past, and you are contemplating switching from glasses to these great vision tools, you are likely wondering what to expect when going for a contact lens exam. The first step is to contact Lickteig Family Eyecare to make an appointment for a fitting. We service the Medford, Boston, Natick, and Dedham areas. Here is some general information about contact lens wear and what your appointment with our optometrist will entail. Many people find that wearing contact lenses is a wonderful way to show off their features without the obstruction of eyeglass frames. Contact lenses are comfortable, and you will not feel them in your eyes if they are cared for properly. Your vision will be sharp, as each lens covers the entire portion of your iris, giving you the opportunity for crisp, clear vision even when looking side to side or up and down. This is not possible with glasses, as they only provide vision correction when looking through the glass portion. There is also no need to worry about breaking them when engaging in exercise or sporting activities. A contact lens exam is very much like an exam you would have for glasses. 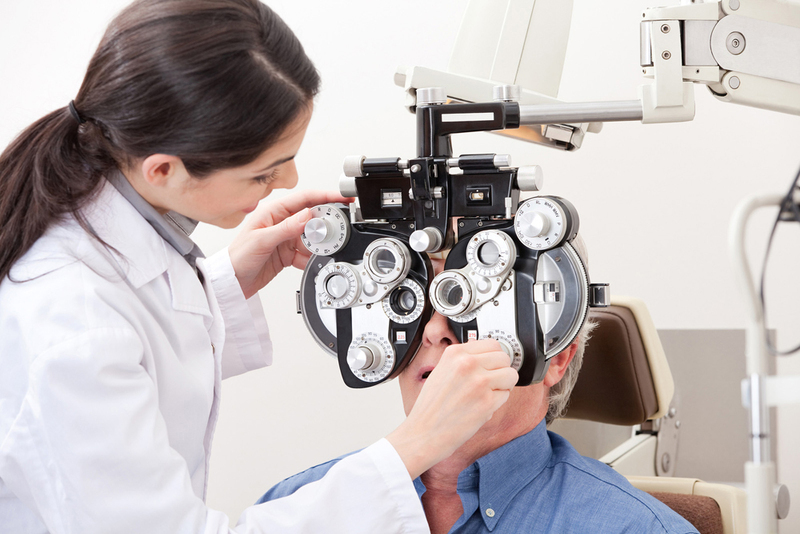 Our optometrist will first check your eyes in detail to rule out any medical conditions that require treatment. You will be instructed to read a series of letters or numbers from a chart to check your current prescription strength and to sharpen what you see, if necessary. Contact lens exams require that your eyes are measured. This is a simple procedure where you simply look into a piece of equipment similar to a pair of binoculars. You need to keep your eyes open and refrain from blinking for a few seconds so our optometrist can measure the diameter and curvature of each of your eyes. After your measurements are taken, our optometrist will provide you with a sample pair of contact lenses. You will be instructed on how to insert them into each eye. Afterward, an evaluation is conducted to ensure they fit your eyes properly. You will also need to read the vision charts again to determine that the prescription strength is correct. If you are interested in having a contact lens exam conducted, call Lickteig Family Eyecare to make an appointment to get started. Call our Boston facility at (617) 988-8136, our Natick business at (508) 653-0919, our Medford facility at (781) 350-7008, or our Dedham practice at (781) 329-0067.